The secret to these potatoes is an extra long roasting time and a good drizzling of bacon grease. The smoky bacon flavor is in every bite and the extra minutes in the oven leave the edges of each potato nice and crisp with a fluffy center. The recipe is really quite simple, despite the extra time in the oven. Luckily, there is very little actual work involved, making this my kind of recipe! 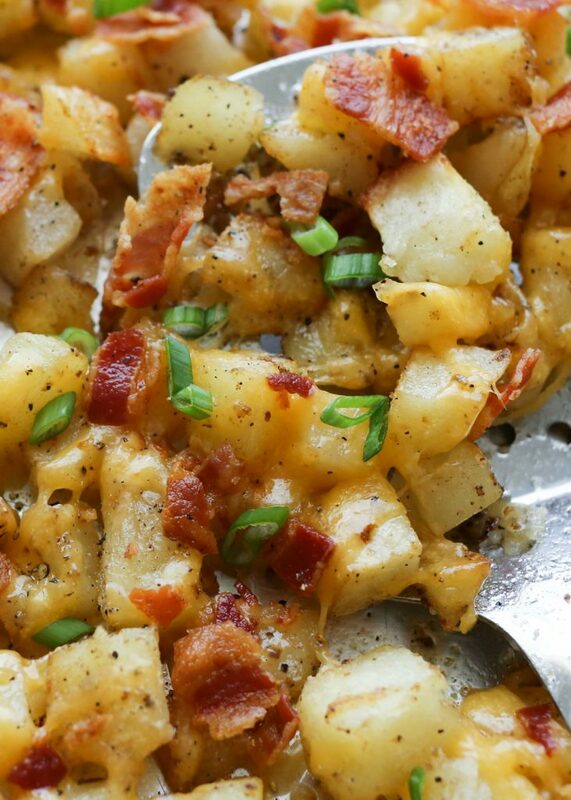 I’ve served these potatoes on their own as a main dish for breakfast, lunch, and dinner.